These are easy to make, albeit a little time consuming. But I think a older child could make this wreath with adult supervision. 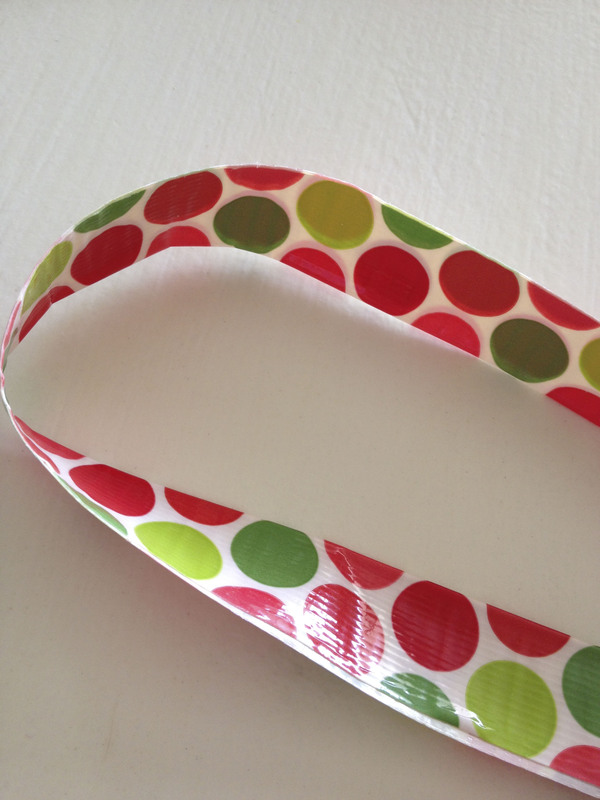 Duck Tape® in as many colors/patterns as you want. 1 roll should be enough for one solid-colored wreath. 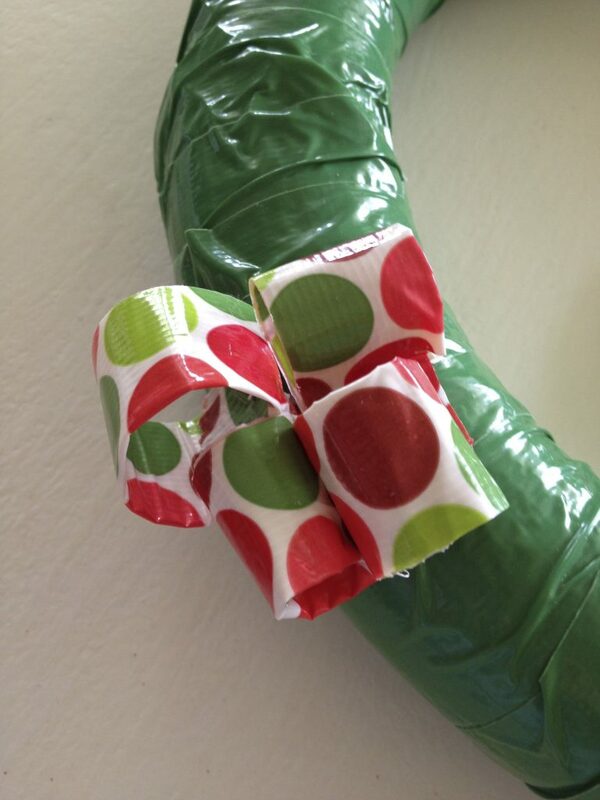 First, choose one of your Duck® Brand Tapes and wrap the entire thing in the tape. I'm not sure if this step is absolutely necessary but it's nice to cover the foam. 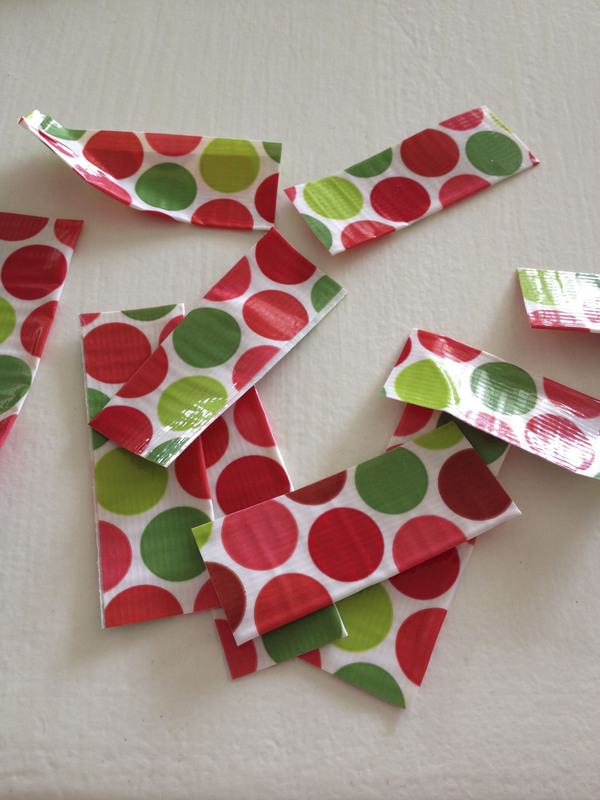 First rip off a long piece of Duck Tape®, about the length of your armspan. Then carefully fold it in half lengthwise, the sticky to the sticky. You'll end up with a skinnier piece of non-sticky Duck Tape®. 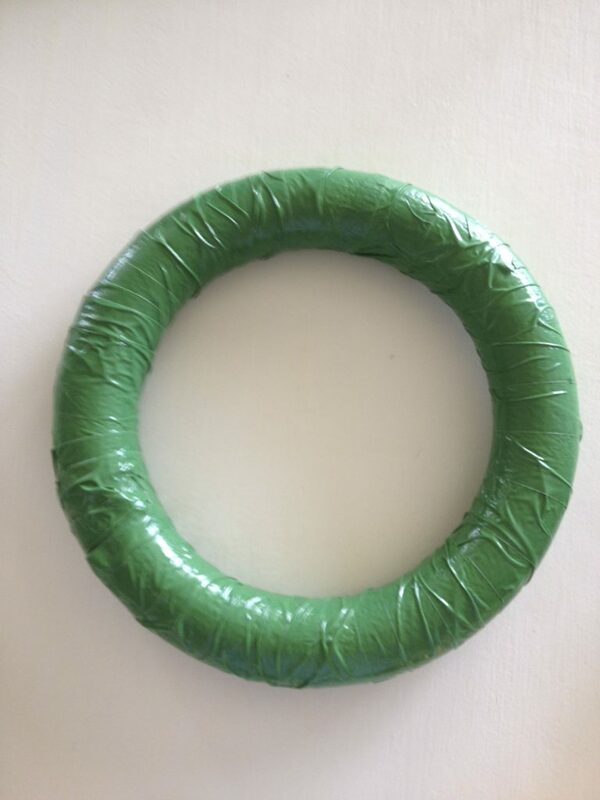 For my wreath, I actually did this twice for each color of tape. Then cut the long ribbon into 2-3 inch pieces. To attach to the wreath, form the small piece into a loop and place a pin where the two ends meet. Then stick the pin into the wreath! 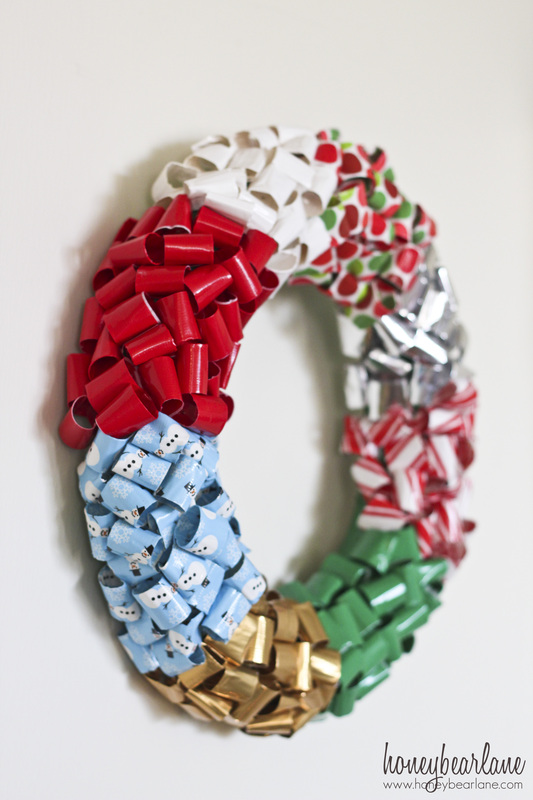 I also wanted to show you another way that I incorporated Duck Tape ®into my holiday festivities. 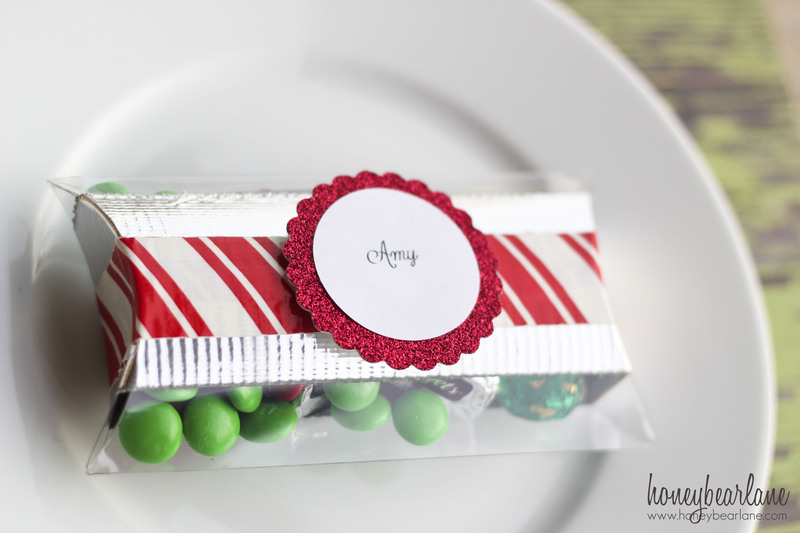 I made these little candy name cards for my Shutterfly party and used Duck Tape® on them. I think they turned out so cute! What do you think? Do you want to try one for yourself? Maybe have your kids make their own! And be sure to like Duck Tape® on Facebook! This looks really awesome! I’m definitely going to try this! 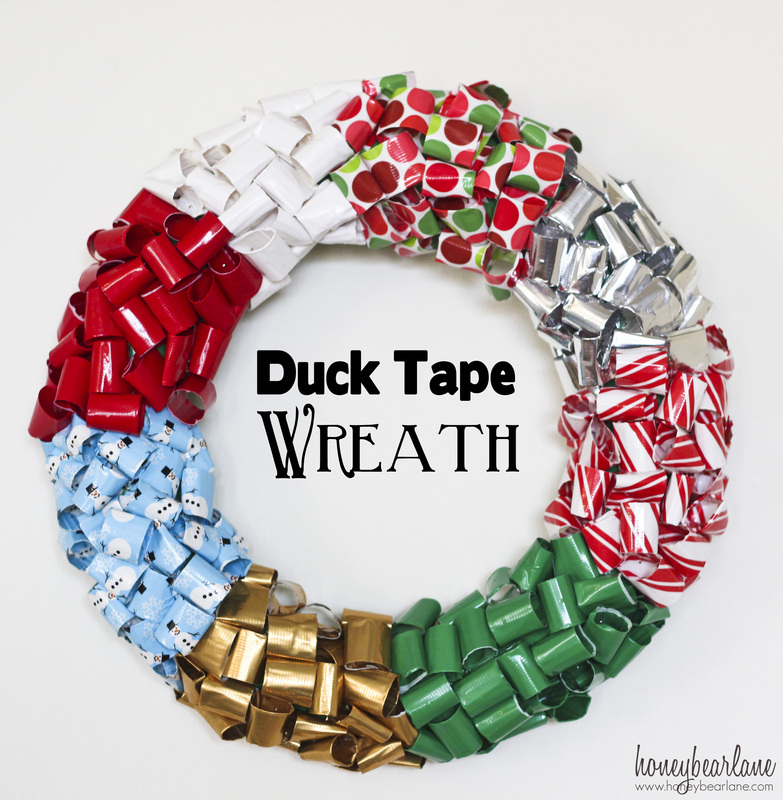 I already have plenty of duck tape, now I just need to go find a foam wreath. One question though; what kind of pins did you use to attach the duck tape? Just regular sewing pins. Good luck!